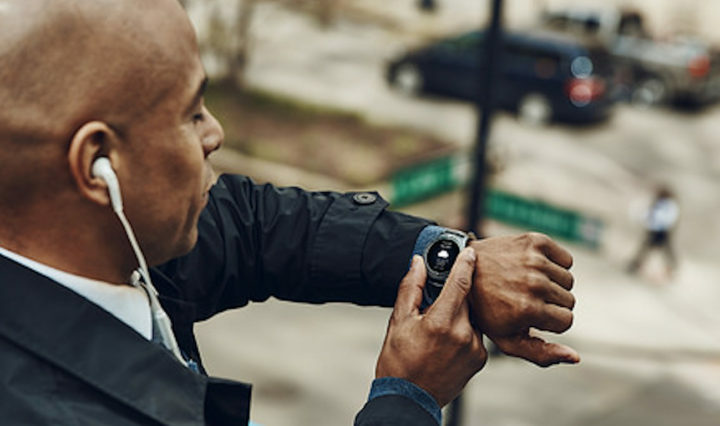 With the introduction of wearables for work, a B2B-ready smartwatch, enterprises now have access to wearable devices that can increase employee mobility and workplace efficiency, especially in those industries with challenging work environments, such as mining, transportation, healthcare, construction and hospitality. Here’s a look at how enterprises can take advantage of wearable technology to enhance productivity, safety and the customer experience. One of the key reasons wearable devices haven’t yet taken off in the enterprise is that it’s been challenging to develop customized apps for wearables. Without the ability to develop apps specifically designed for an enterprise’s needs, smartwatches were viewed as little more than a distraction meant for consumers, not employees. The introduction of the Knox Tizen SDK on the Samsung Gear S3 makes wearable app customization easier and more accessible for enterprises and app developers, allowing businesses to create apps for employees to use for business purposes only. Whether it’s receiving patient data in an exam room, improving communication and efficiency between in-flight and ground crews on a tarmac or enabling a retail associate to discretely collect customer data in-store, the possibilities for wearable app use cases in business are almost limitless. Wearables have been mainly built for consumers — until now. How is a wearable device better or different from what employees can do with mobile devices like smartphones and tablets? Like other mobile devices, smartwatches offer real-time communication between employees who either work in the field or need the ability to communicate with co-workers who may not be in the same location. However, wearables offer more advanced enterprise use than simple hands-free communication. Equipped with sensors such as an accelerometer, gyro, barometer, heart rate monitor, altimeter and ambient light that can send and receive additional data automatically, wearable devices provide more than just instant text or voice communications — they can alert crew members when a fall occurs on a construction site or alert a doctor when a patient’s vitals are at dangerous levels, without any action from the user. In the transportation industry, monitoring driver or pilot fatigue on a smartwatch could prevent accidents. In the energy industry, field workers in some of the harshest and most rugged work environments can communicate hands-free — which may be a much safer alternative. Healthcare, financial services and other highly regulated industries have considerable security and manageability concerns. The Gear S3 is built on Samsung’s Knox security platform, which locks down the hardware and integrates with Samsung’s SDS EMM (enterprise mobility management) solution for better security and manageability. Through the SDS EMM, IT administrators can manage wearable devices to meet compliance and security requirements, including the ability to set device policies like password rules, remotely lock or wipe devices if needed and deactivate specific functions. Having this extensive level of control and manageability of the device allows enterprises to use wearables to communicate confidential patient data between healthcare professionals, or to allow financial professionals to access client information in a hands-free environment securely and in compliance. The wearable market will continue to grow among consumers, which will in turn put pressure on enterprises to adopt the technology. The good news is that there are few reasons for enterprises to continue to resist the technology, and a lot of reasons why they should embrace the added mobility and productivity wearable devices offer. An innovative software solution from Samsung and Fujitsu is poised to transform retail by giving retailers hands-free access to vital store information at all times.